Posted by Admin | February 15, 2019 | Action, Simulation, VR. Take command and pilot a giant fighting machine in an escalating war between powerful corporations. Select your GDR (“Grinder”) chassis and customize it with a powerful arsenal of lasers, missiles, cannons and more as you’re pitted against rival Grinder squads. Engage in seamless drop-in multiplayer action with no loot-box or micro-transaction nonsense. 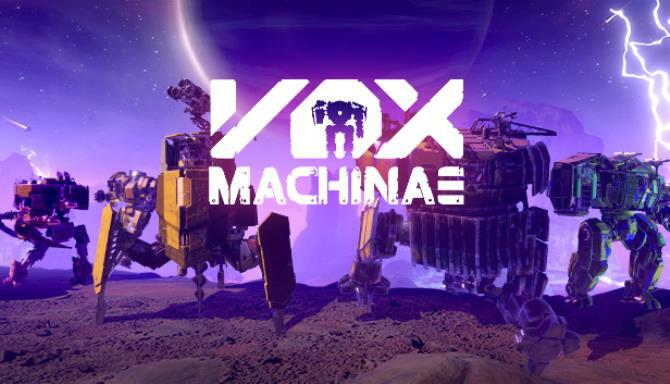 Vox Machinae respects your time, and your wallet. 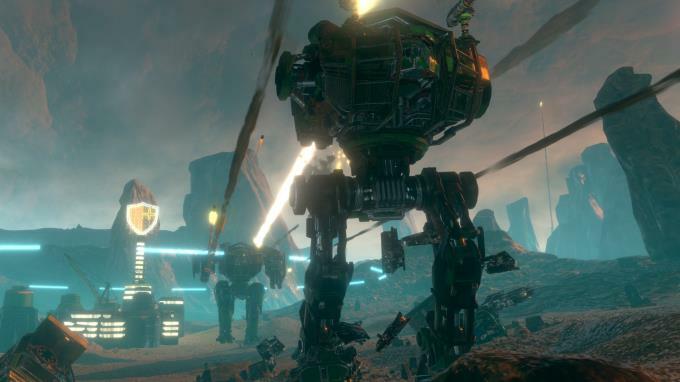 Experience the ultimate giant robot combat action-simulator that’s strong enough for your average screen, but BUILT for VR. An immersive physics simulation drives movement and combat, allowing you unleash your massive momentum on both ground and in aerial jumpjet battles. Fight Together with your friends both inside and outside of VR. And with full support for Rift, Vive, and Mixed Reality, everyone can take part in the fray. Play offline, on a local network, or online with up to 16 players. Work with your team to recover and protect the monolithic Decker machine in Salvage mode. Control the most factories scattered across the battlefield as your team reaps the benefits of their production in Stockpile mode. All modes can be played with 2-4 teams, making it easy to squad up with your comrades. 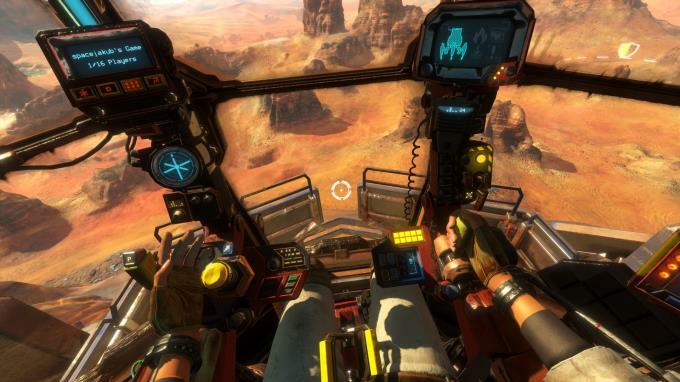 Be the pilot and immerse yourself in VR, operating a giant grinder with your real hands. Fully motion control supported with a myriad of grabbable controls, each carefully arranged for maximum usability. Turn the ignition key to start’er up, tilt the sticks to guide your metal beast and jam on the throttle when you really need to punch it. Additional Notes: These are the NON-VR requirements. Additional Notes: These are the VR requirements.